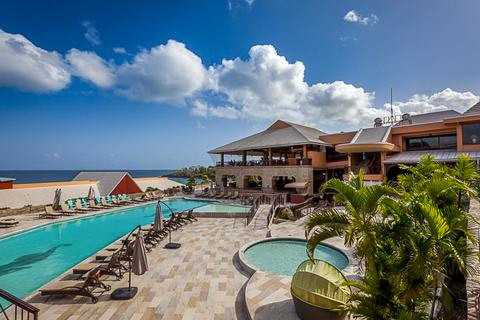 Le Grand Courlan Spa Resort in Beautiful Tropical TOBAGO! Bid per Night and Choose your Length of Stay! Le Grand Courlan is located on Stonehaven Bay. Experience the Caribbean Sea, lush tropics and perfect sunsets. Take a tour… wander… or discover the island by foot, air, or boat. In-house restaurants. Each with their own unique flavour. Have dinner at The Pinnacle Restaurant, or, if you’re feeling for something a bit more local, then check out The Caribbean Bistro. Relax and renew. De-stress and unwind at the spa at Le Grand Courlan with a variety of treatments and activities. We have something for everyone, be it relaxing on the beach, playing a game of tennis or working out at our gym. 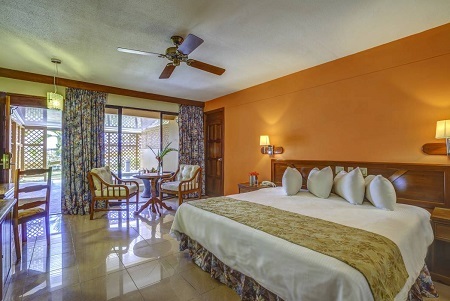 Accommodation is spacious and luxurious with modern, tasteful décor. 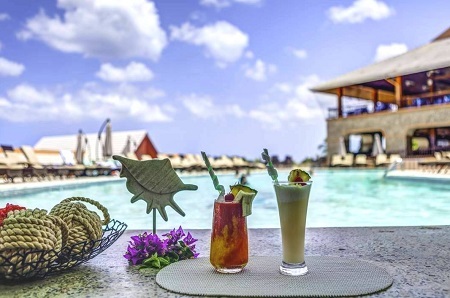 Experience a tranquil view of azure Caribbean waters as our resort overlooks a secluded palm-fringed beach. Be welcomed with a complimentary beverage on arrival, then be escorted to your room, furnished with your comfort in mind. All amenities you would expect from a fine resort are included in the comforts of your room. Offer is based on a Single or Double Occupancy in a One Bedroom Suite. Tax and service charges of $49.00 per room per night are additional.